The days are longer, the nights are warmer and your wallet is lighter. We know summer can take a toll on your bank account because who can say no to frozen margaritas on a sunny Saturday? We want to make sure you spend your hard-earned cash at the best bars so you don’t waste a dollar, or a drop. From airy rooftops to live music and delicious cocktails, we have picked out the best bars to hit on the Gold Coast Coast this summer. Mr P.P.’s serves a collection of cocktails on their rooftop that scream summer. If you’re after something refreshing, opt for The Seaside—vodka, soho lychee & passionfruit. More of a fruity drinker? Then the Summer Lovin is for you—Bacardi Blanca, Malibu, lime, pineapple, agave & egg white. This multi-level venue is the perfect spot to watch the summer sun go down behind Southport’s impressive skyline. Nothing says summer like a crispy cool craft beer. The team at Craft House in Tugun have an epic line up of brews, with 20 craft beers on tap that they always rotate. Not into beer? Not a problem. They also have an extensive list of wine, gin and cocktails. You can’t go past The Cucumber Watermelon Martini or The Caribbean Crunch Margarita. The vino is ice cold, the pastel yellow umbrellas are up and the rooftop terrace is buzzing. Well, what are you waiting for? 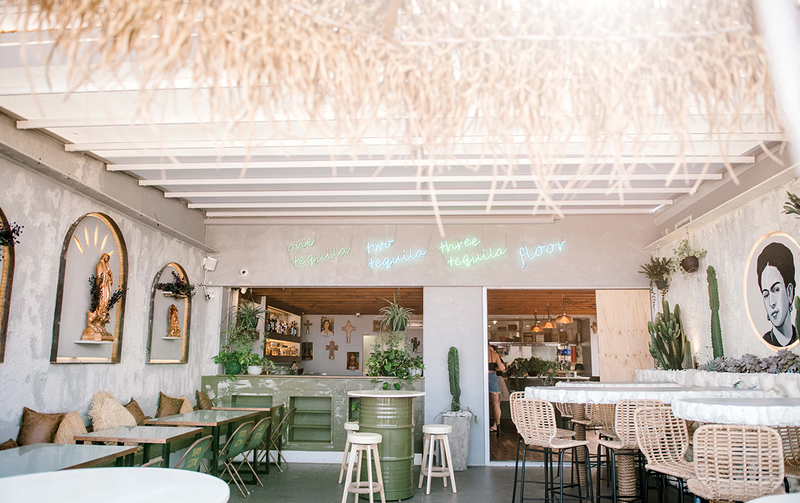 Located in Nobby Beach, Hellenika Rooftop oozes European summer vibes and offers views of the Gold Coast hinterland. Once you’ve picked your refreshing drop, order a bowl of zucchini chips… we guarantee you won’t regret it. For years, we’ve heard whispers of a rooftop bar on Burleigh Hill and finally, the time has come. The newly opened Burleigh Pavilion offers sweeping views of our spectacular coastline. Minutes will turn into hours here at this epic beach club…and trust us, you’ll want to stay for sunset. Grab a cocktail, a seat and witness Mother Nature at her damn best. Perched on the corner of Circle On Cavill, the team at White Rhino are the new kids on the block. This jungle themed eatery and bar boasts an open-air outdoor garden that’s perfect for summer drinks in the glorious summer sun. With cocktails served in coconuts, garnished with flowers and boasting umbrellas—they get our sip of approval. Is it just us or is every bar getting a renovation just in time for summer? You know what they say, summer bars are made in winter. Formerly Liar’s Bar, The Broadbeach recently unveiled its facelift and you won’t recognise it. There’s plenty of lush greenery, wood furnishings and white brick. Spend the day at the beach then pop in for a post-swim cider and live music. From the crew at Bonita Bonita comes their little sister Frida. Serving delicious margaritas and modern Mexican fare you’ll want to clock up many hours at this joint. The best part? There uber-cool rooftop area with views out to the beach. Are you craving some refreshing cocktails and live music? Then add this to your summer sip list. Tupe-Aloha is located in Kirra but will transport you to Hawaii. Cocktails served in tikis, chicken wings served with colourful umbrellas and good vibes served with smiles. The Aloha stage showcases plenty of live music from acoustic to blues and jazz. 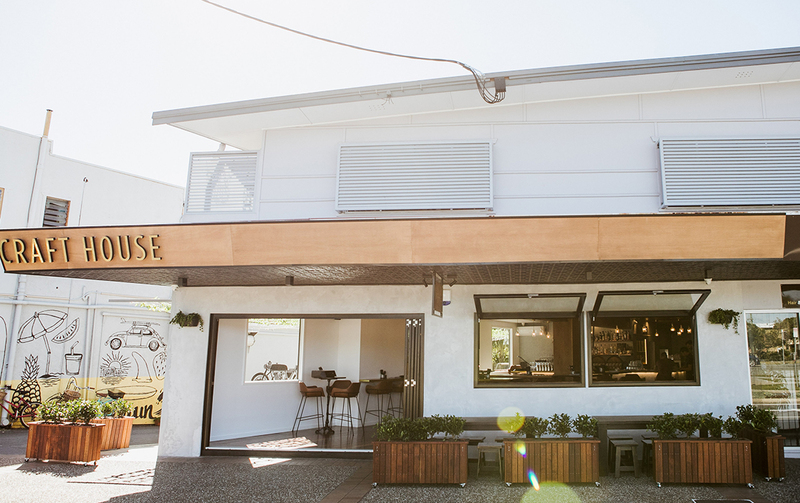 The Burleigh staple Justin Lane just had an epic makeover, just in time for summer. They've more than doubled the size of their much loved rooftop with an extra long bar, more seating and of course the faithful DJ booth to ensure sweet lives tunes in the evenings.